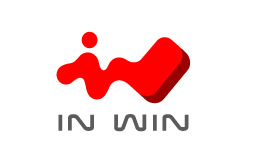 Register on In Win Retail Website as a Member by 2/28/2009 Will Earn Double Bonus Points! In Win Mini ITX & Intel Bundle Promotion Starts Now! We'll Celebrate Our Twentieth Anniversary at CeBIT in Hannover Germany on 2006/3/9-3/15，Welcome to Visit Us . 12/21 In Win is Proud to Announce that Our New 600W Power Supply has Achieved the 80 Plus Certification.